A new classic. 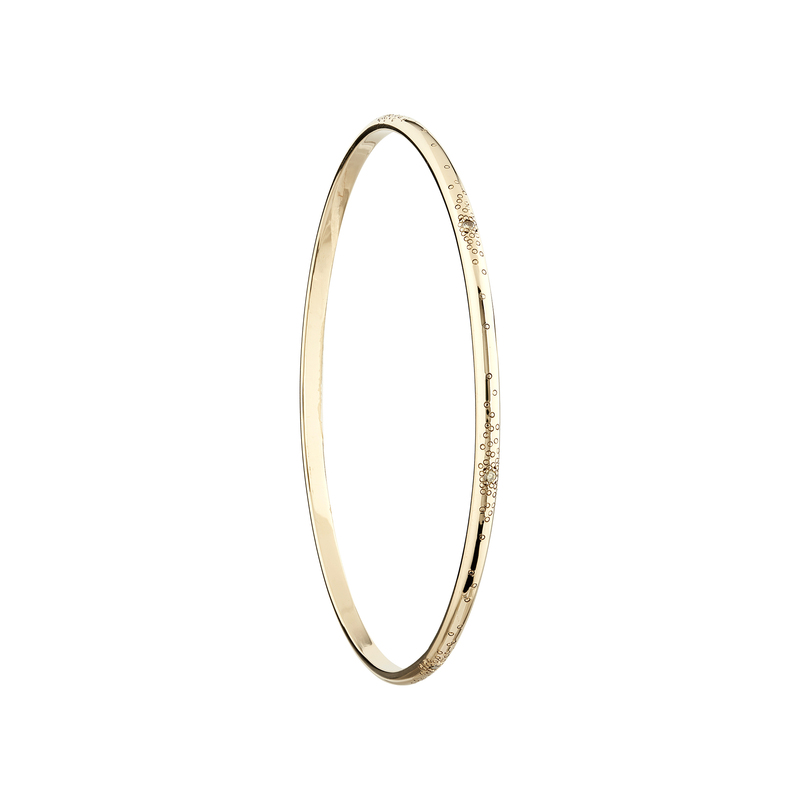 A pretty D-shaped bangle handmade in 9ct yellow gold in a matt or polished finish set with 7 x round brilliant-cut diamonds and finished with a sprinkle of Stardusting! The stock bangle is 65mm diameter and can be made to order if not in stock or you need a specific size.